Are you an International student willing to study in Germany? 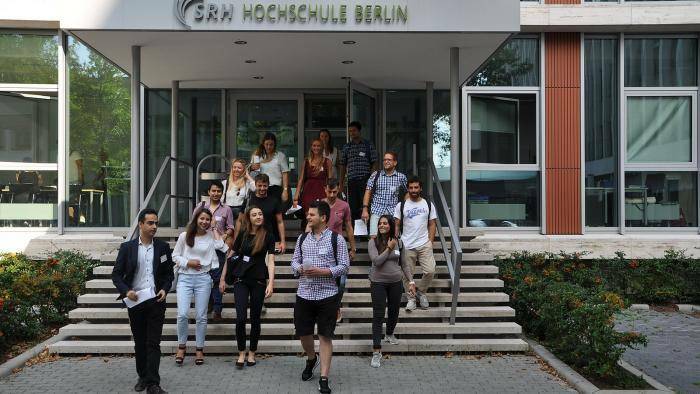 The SRH Hochschule Berlin – Germany is offering the 8forYou Scholarship Program to International Students who are willing to undergo a degree program at the Institution. This is a merit based scholarship program which reduces the tuition fees by €300 a month. Send your one-page contribution incl. the optional creative contribution (e.g. photo/video) via email to Ms Andreza Rocha (andreza.rocha@srh.de) until 31 July 2018 (11:59pm CEST). Please use a web-based data transfer service such as wetransfer for contributions that exceed 5 MB. Apply for your desired study programme until 31 July 2018 (11:59pm CEST) using our Online Application System.